Some parents in Springfield, Missouri decided the best way to handle recent controversial school reading assignments was by arming themselves with first-hand information. Megan Cook and Marissa Griffin decided to create a Facebook book club for Springfield parents that tackles the controversial titles schools assign students. 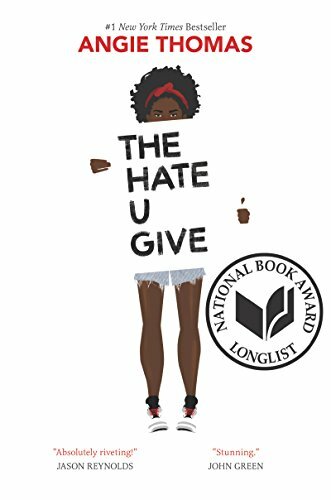 They named the group “The Books We Hate” as a wink to the book that started the controversy, The Hate U Give, a New York Times Best Selling YA Novel by Angie Thomas that was inspired by the Black Lives Matter movement. It was pulled for review after parents complained they weren’t properly warned about the adult content, and a local lawmaker found fault with its attitude towards police officers and references in the text to marijuana and condoms. James LaRue, the director of the American Library Association’s Office for Intellectual Freedom, spoke with a local Springfield news outlet about the frequently challenged book, citing that it is most often challenged for profanity, despite the fact that some other widely taught canonical texts have obscenities. All that’s terrifying to a parent, but I think what it comes down to is how the narrator or the storyteller chooses to have their character deal with those situations. It could be a learning opportunity, and it’s certainly a learning opportunity for parents to sit down with their child and read a book and take an active part in their education. The book club will choose one book each month that is either being considered by Springfield Public Schools or has been frequently challenged around the country. They plan on letting members of the group vote on book club selections, to ensure they choose something engaging for the group. The wording brings to mind the often overlooked brilliance of Moms who have dealt with plenty of teenagers and kids looking to sidestep rules for their own gain. It also seems like exactly the right spot to start any discussion on the internet about a topic that can breed disagreement. After The Hate U Give, they are considering The Handmaid’s Tale, My Sister’s Keeper, and The Perks of Being a Wallflower – all texts that are critically respected and widely challenged.